Somerville & Company, PLLC is a full-service public accounting firm providing professional services such as accounting, tax, and other consulting services to individuals and business clients. They also offer bookkeeping and payroll support, estate and financial planning, mergers and acquisitions, investment planning, QuickBooks solutions, and more. 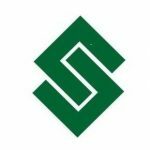 Work For Somerville & Company, PLLC? Claim This Page.